Batman V Superman: Justice Begins Isn’t the only movie getting a new trailer this Monday. The director of Jurassic World, Colin Trevorrow, has shared a new poster for said film, the 1st of what he promises will be three posters released throughout the day! 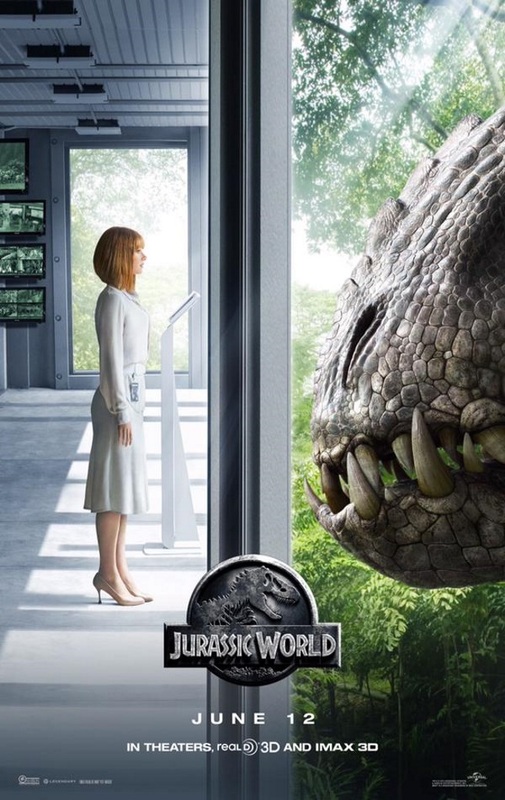 Check out the 1st poster, with Bryce Dallas Howard’s character, Dr. Claire Dearing, facing the monstrous mouth of our new friend and the latest attraction at Jurassic World: Indominus Rex! Keep your eyes out for the next two trailers which I will hopefully post this afternoon! And expect more and more gnarly trailers as the Summer Movie Season kicks off with Avengers: Age of Ultron, two weeks from today!